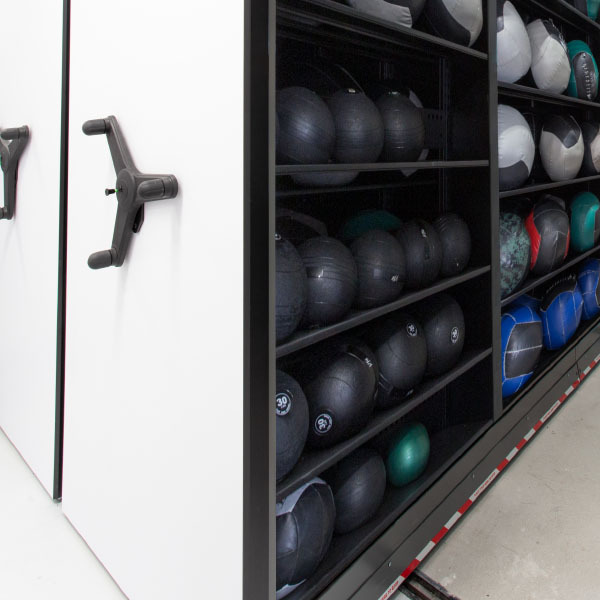 Bench storage and sled storage on wall-mounted racking allows you to store sleds and weight benches up off the floor and out of the way. 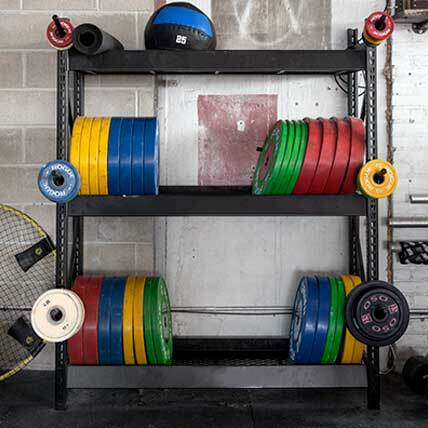 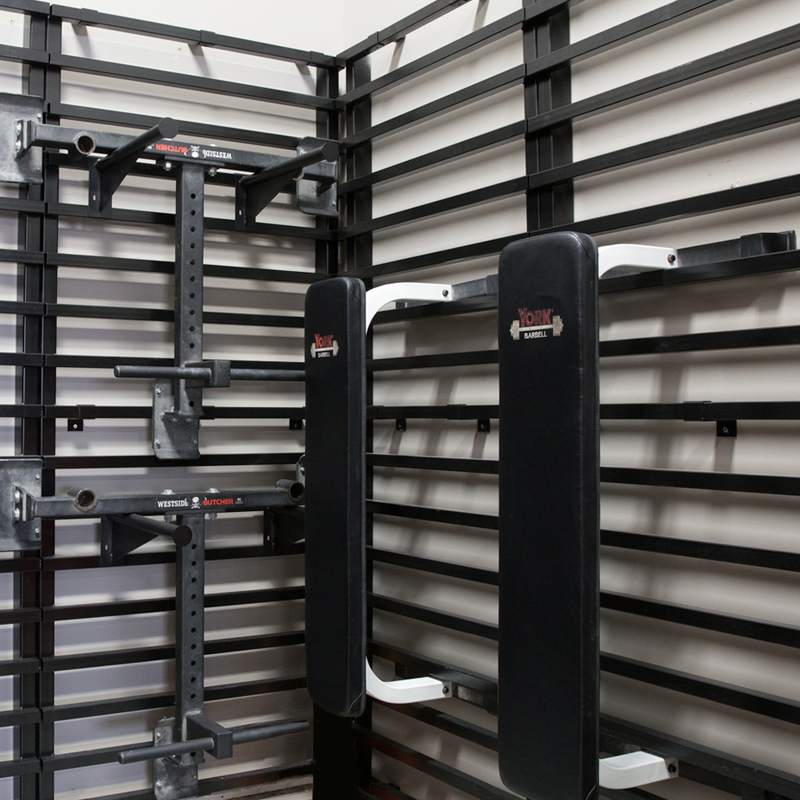 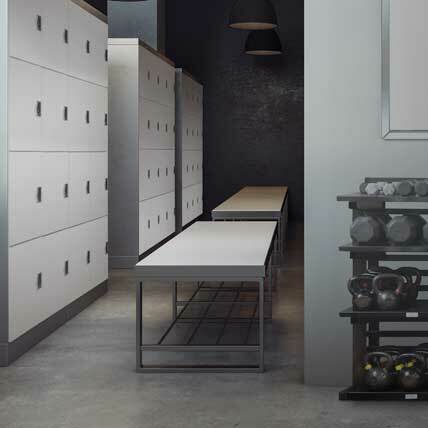 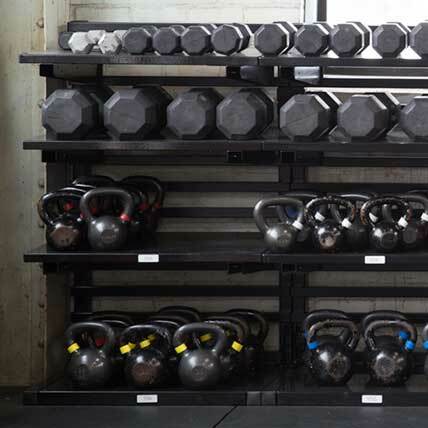 Wall-mounted racks turn empty walls into productive gym storage, clearing the way for more room to work out. 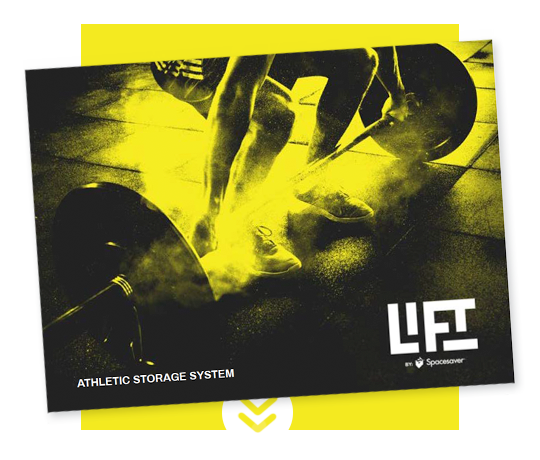 Download a free copy of our LIFT brochure for a complete look at our athletic storage systems and a free worksheet to get you started with getting the best gym storage for fitness gear.